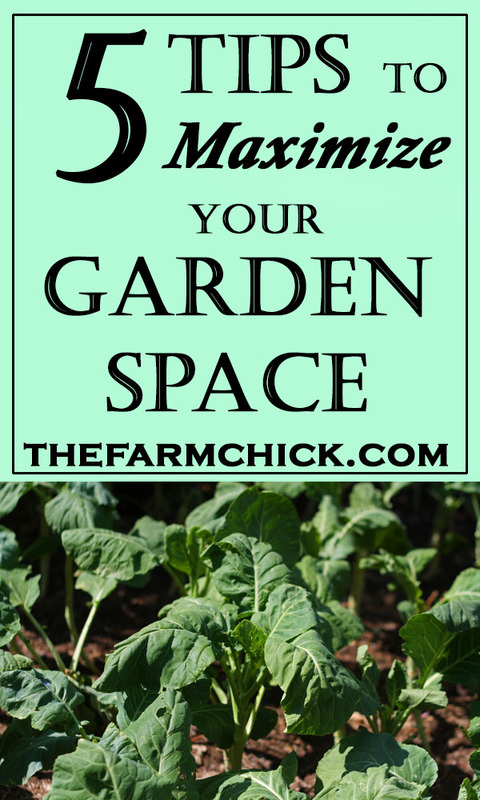 Ever wanted to know how to grow a big garden in a small space? 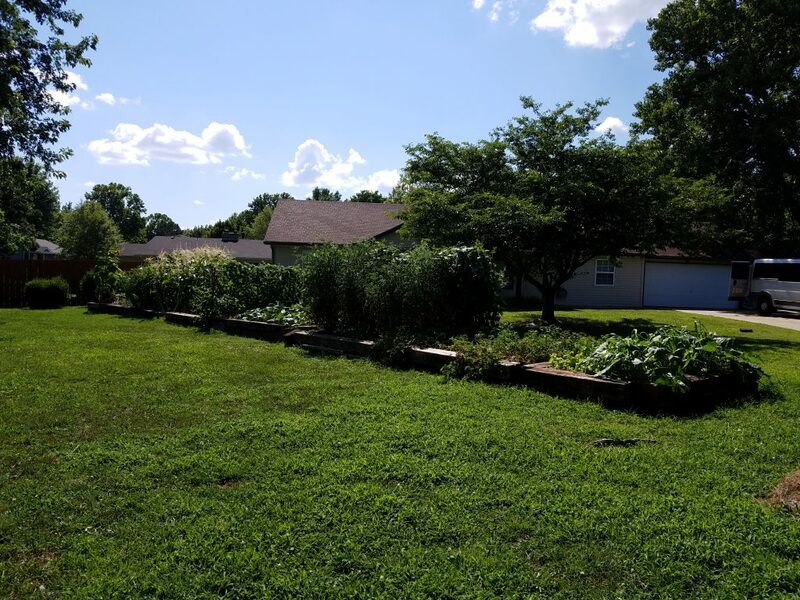 I’m sure many of you out there don’t have the option of a 2 acre garden, right? Well, I have a treat for you today! I interviewed my aunt Vanessa and took a tour of her AMAZING garden and brought back 5 awesome tips for you to maximize your garden space and get the most bang for your buck! 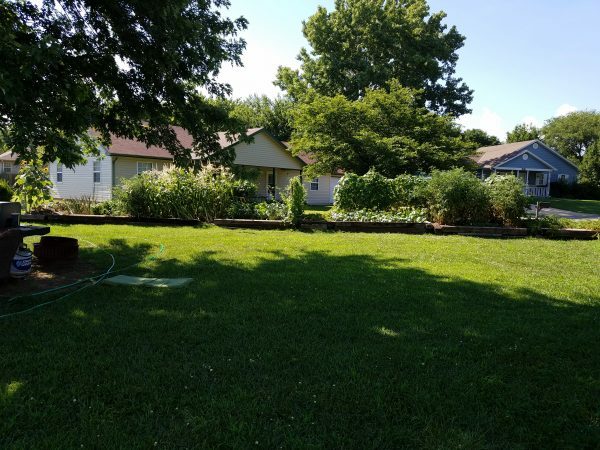 Vanessa and her husband Lamuel live in a regular ranch style house on, what I would consider, a pretty normal size lot in a town of about 12,000. In other words, their living situation is very similar to many, many of you guys out there! I know that not everyone can have a 2 acre garden (not that mine is that big!). 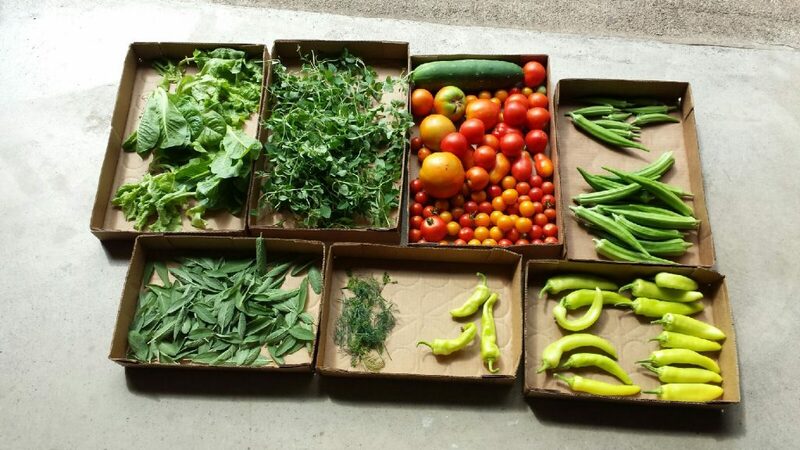 I want to show you today that you get can a TON of produce by using a little ingenuity and out-of-box thinking in your gardening endeavors. Make a square foot garden. OK, Vanessa’s garden space is just 9 feet wide and 66 feet long (basically the length of her house). It started out about 1/3 of that size and they have expanded it over the years. The one thing they do, though, is called square foot gardening. They built their garden beds using railroad ties (some they bought, some were free.). They hauled in some fill dirt and then as the years have gone one, they use their own compost on it to keep it built up. Instead of planting rows of plants, they plant them in bunches within the individual beds. They are able to pack a LOT of plants in a small space! Vanessa has never tallied up her yearly canning, but let me tell you, she puts up (cans, freezes, dries) a LARGE amount of produce every year! This is just one day’s example of what she picked from her garden in mid-July. Inspiring, isn’t it?? This is a great book to read more about this method in detail! Tuck your garden beds into unused spaces. Besides their main garden space, Vanessa and Lamuel have also built smaller beds and tucked them into previously unused places around their house. 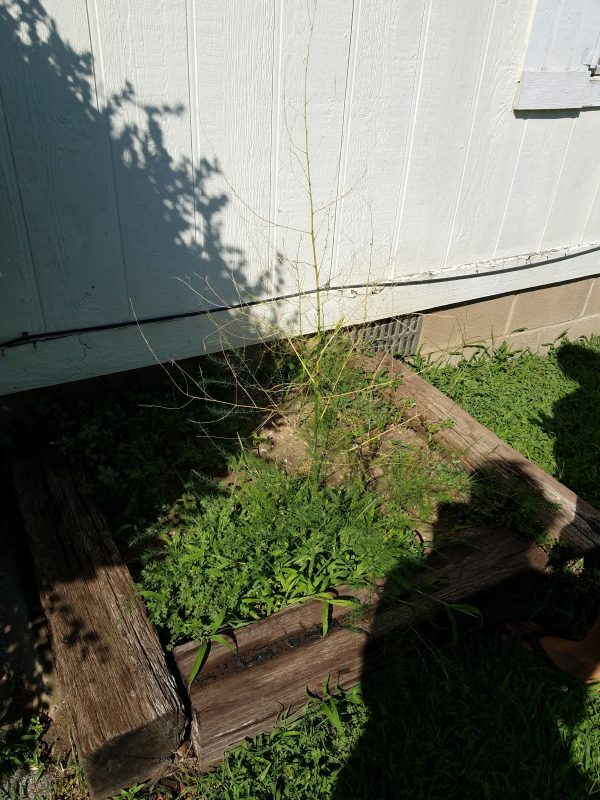 For instance, on the north side of their house, they made a small bed and grew okra in it this summer. In a spot by the back door, she has herbs. In a sunny spot in the middle of yard near a patio/outdoor grilling space, she has another bed with more herbs. Lamuel and Vanessa have a wire fence the runs the length of their main garden area on the backside. They left about a foot of garden space behind the fence. 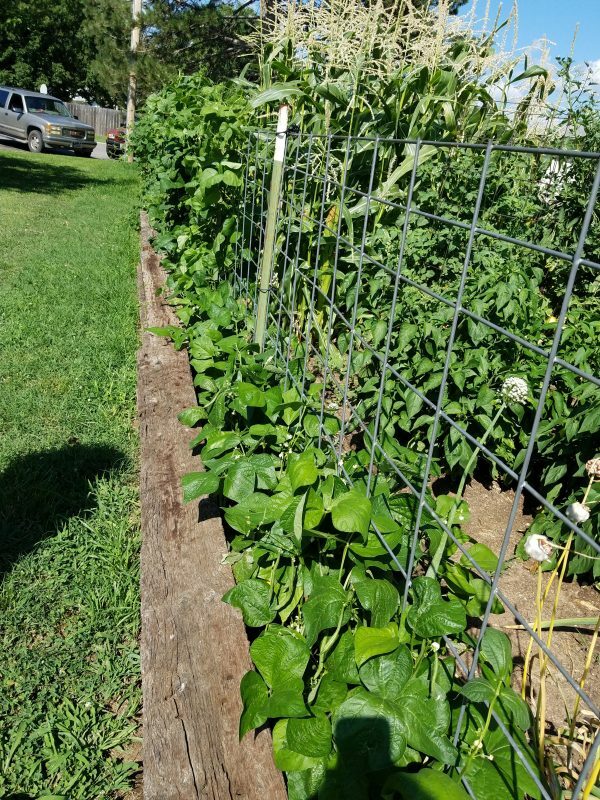 This allows them to plant climbing produce that may otherwise sprawl along the ground and use up an insane amount of precious garden space. I don’t know about you, but those vining plants can take OVER garden, right? So, go up and get them off the ground! Rotate plants during the season. I know that I should rotate my garden plots yearly, but I don’t often think about replanting a later crop of something totally different into a space after another plant has finished producing. One thing that Vanessa does that has NEVER occurred to me (but is a great idea!) is that after her regular potato crop is done and the potatoes are dug, she puts in sweet potatoes. By pulling an old crop and planting a new one, she has just doubled her garden potential without doubling her space! I’ve always known in theory that it was possible, but I’m rarely organized enough to remember to do it halfway through the gardening year. OK, what does watering have to do with maximizing space? Well, I never thought about it either, but, let me tell you, Vanessa and Lamuel water every day. If it’s hot and we’re in a bit of a dry spell, they water twice a day (morning and evening). To answer your question- their plants are rarely stressed out so they increase their production- meaning more goodies for you, the gardener! Confession: I don’t water until my plants look like they need it. Really, that is not great for the plants overall health, right? I mean, if I’m bringing them back from the brink of death, how do you think their produce production is going to be? Yeah, probably not at their maximum potential. So, lesson learned- water every day! 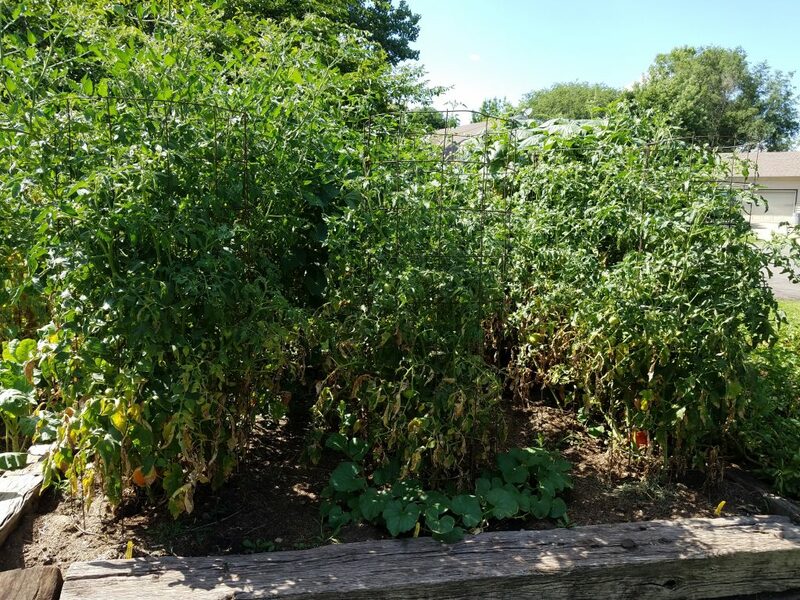 OK, fellow gardeners, what have we learned from Vanessa and Lamuel about maximizing your garden space? Use a square foot gardening method. Tuck beds into unused or unusual spaces. Rotate crops within the growing season. I don’t know about you, but seeing Vanessa’s garden in person was very inspiring and gave me some good ideas to incorporate into my own garden for next year! Give me your tips! What do you do to maximize your garden area? ?